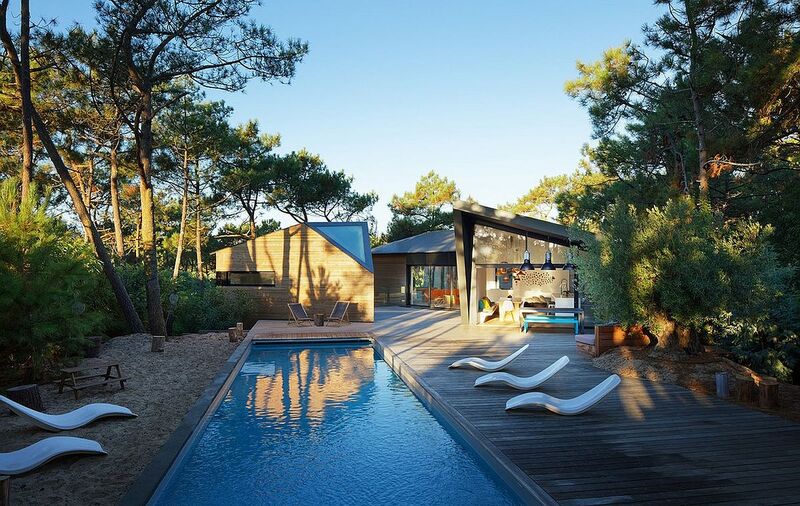 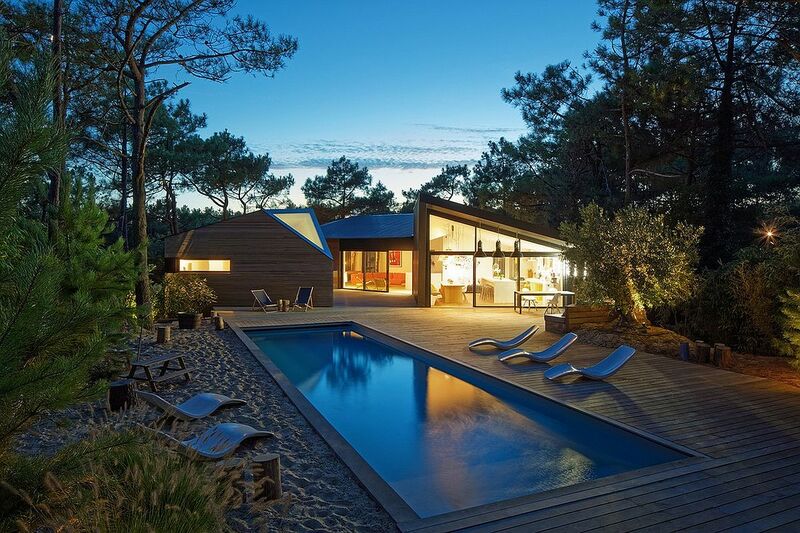 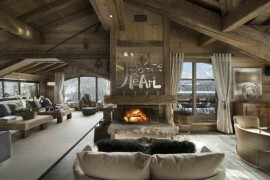 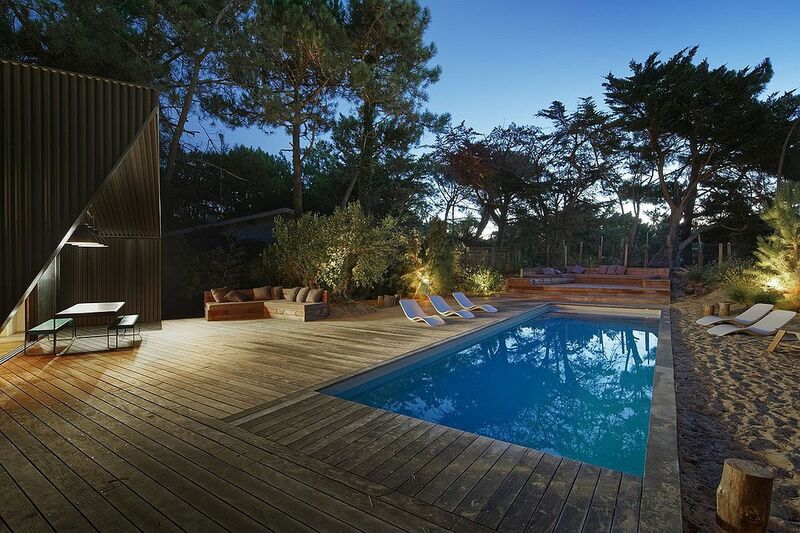 Cap Ferret is unlike many other holiday destinations across the globe. 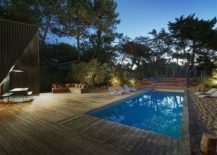 It is a relaxing and quaint setting that takes you away from the rush of brighter destinations in France and allows one to enjoy pristine beaches, a serene holiday and gives the tourist a chance to experience authentic French lifestyle at its delightful best. 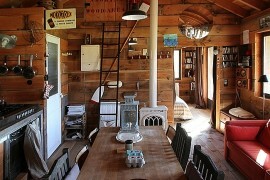 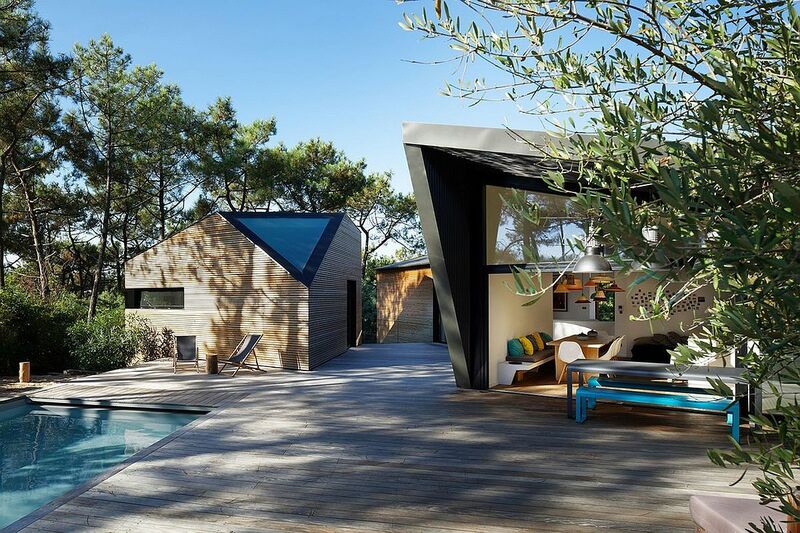 It is barely a surprise then that a creative holiday cabin in the heart of this land filled with classic French finesse reflects a dash of daring, plenty of panache and loads of comfort! 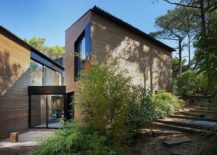 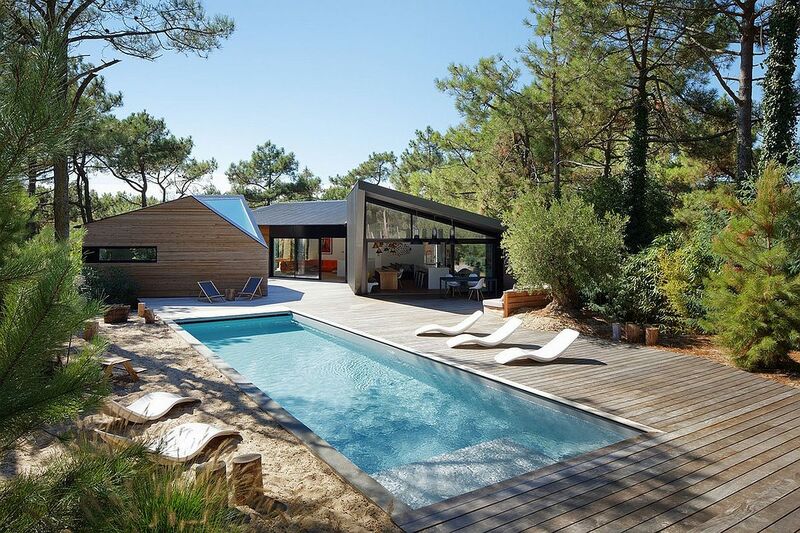 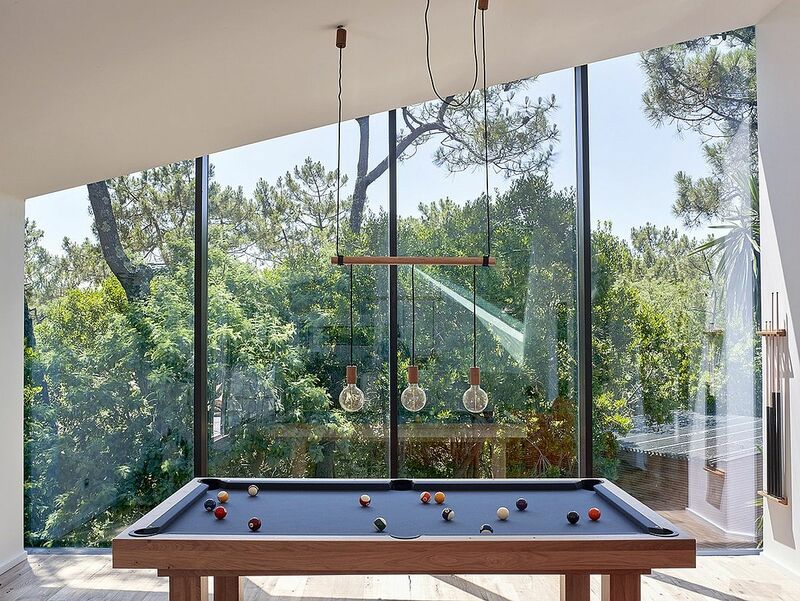 Cabane au Cap Ferret was crafted by Atelier du Pont to stand out as a modern masterpiece that still invites natural goodness indoors. 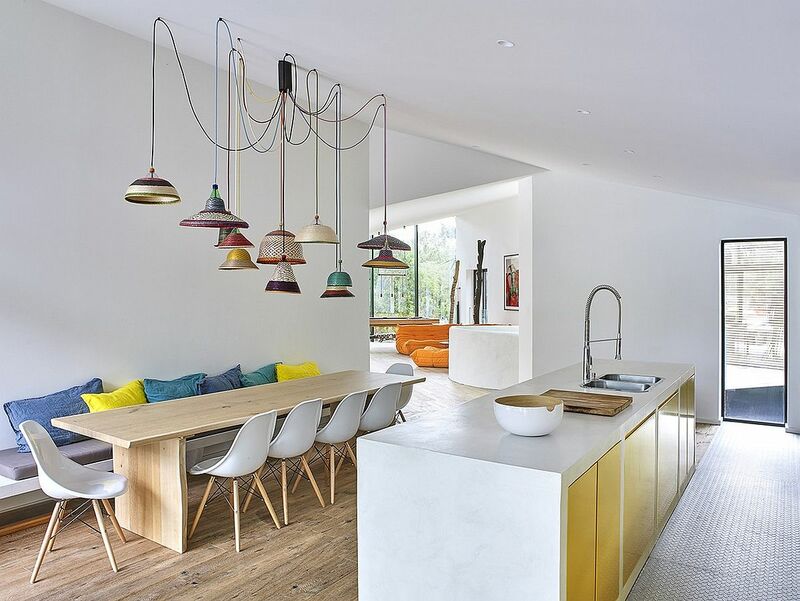 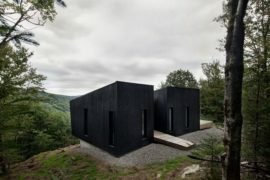 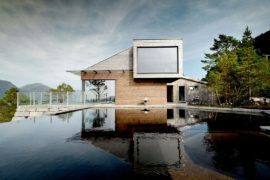 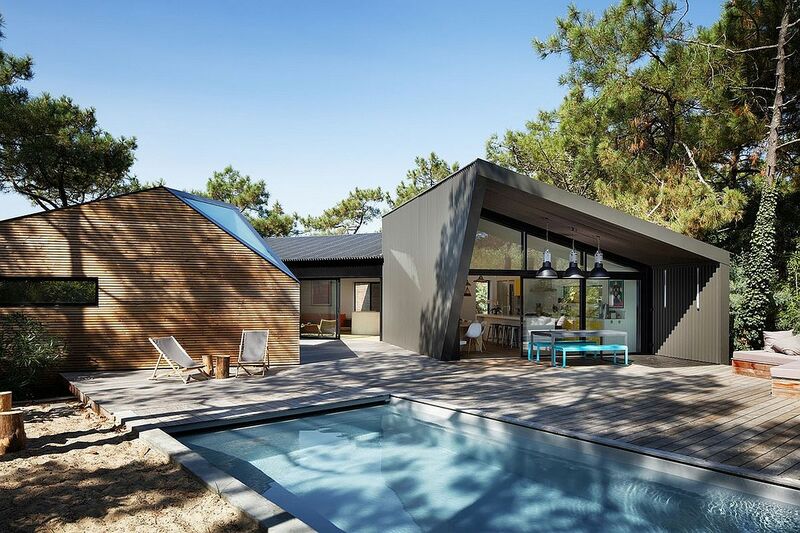 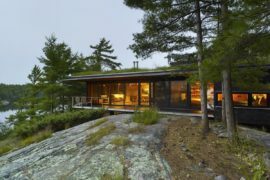 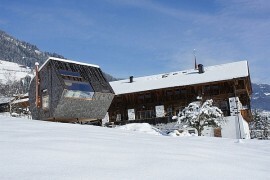 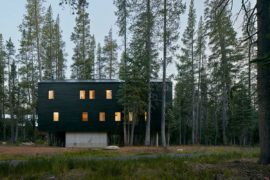 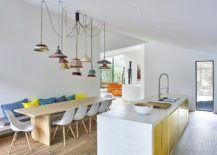 Improvising on the idea of the classic holiday cabin in the woods, this contemporary vacation home brings together several individual structures to create a comfortable and breezy escape. 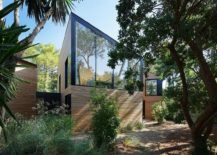 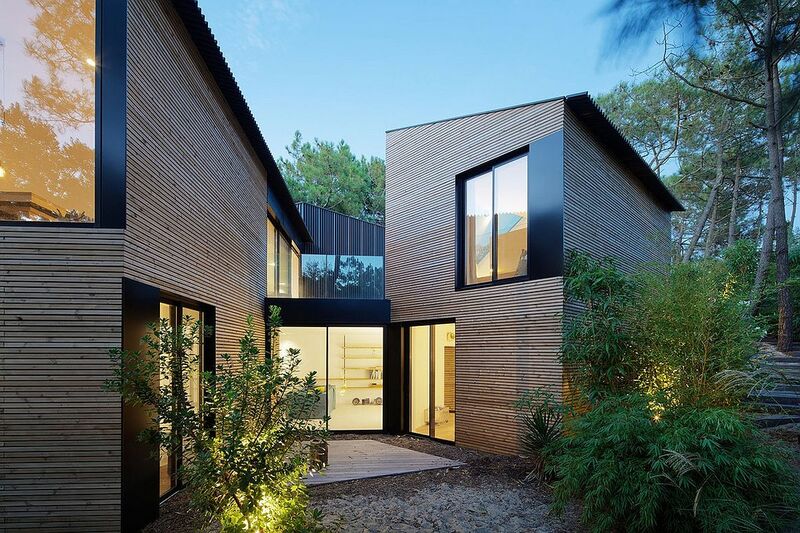 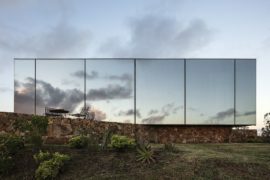 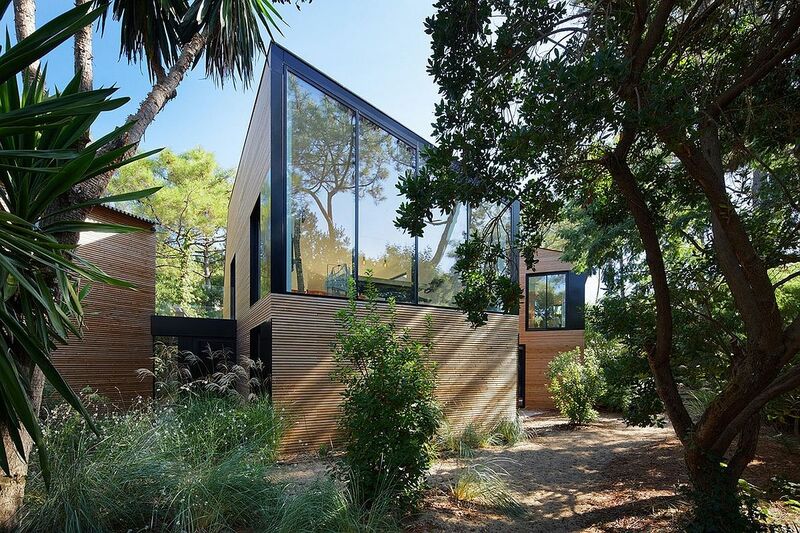 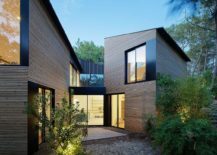 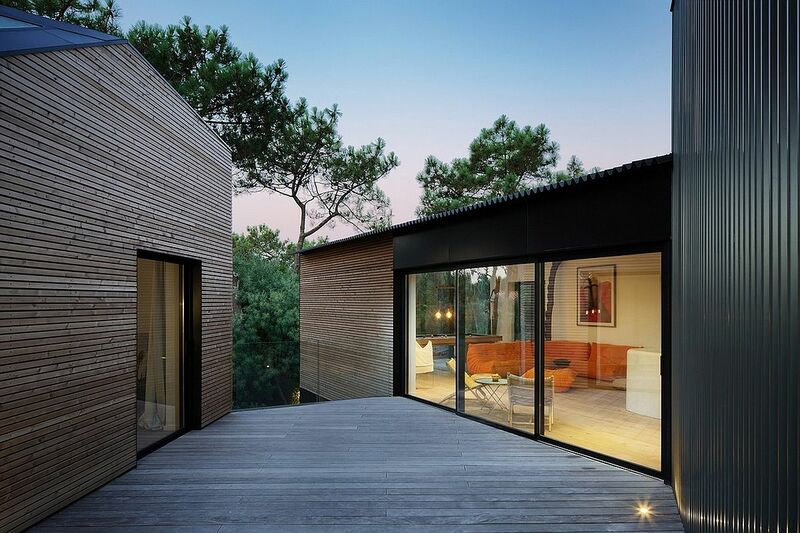 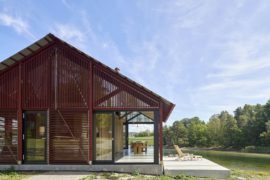 The sculptural wood and glass exterior of each edifice adds to the overall experience even as a forest filled with strawberry trees and pines provides a cloak of greenery. 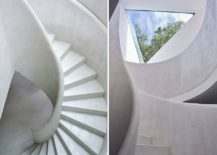 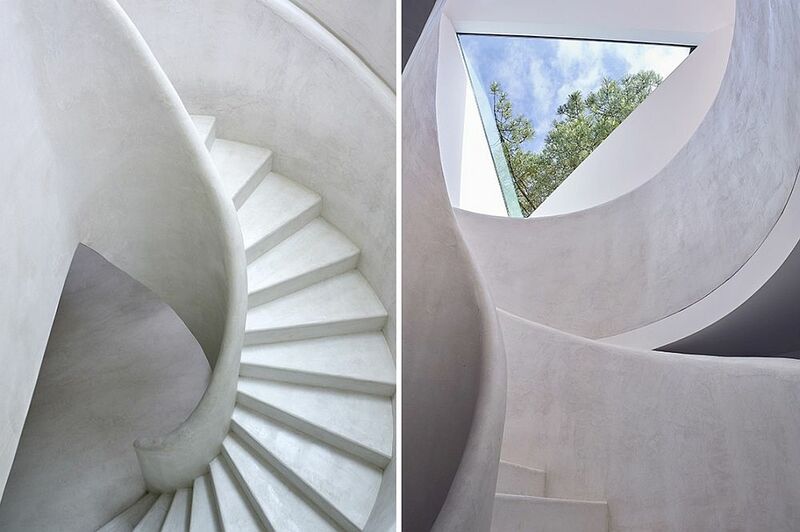 A large, winding entryway leads to the more stoic home where straight lines, minimalist style and sophisticated décor dominate the setting. 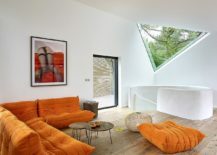 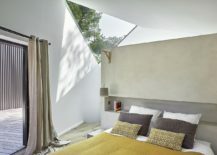 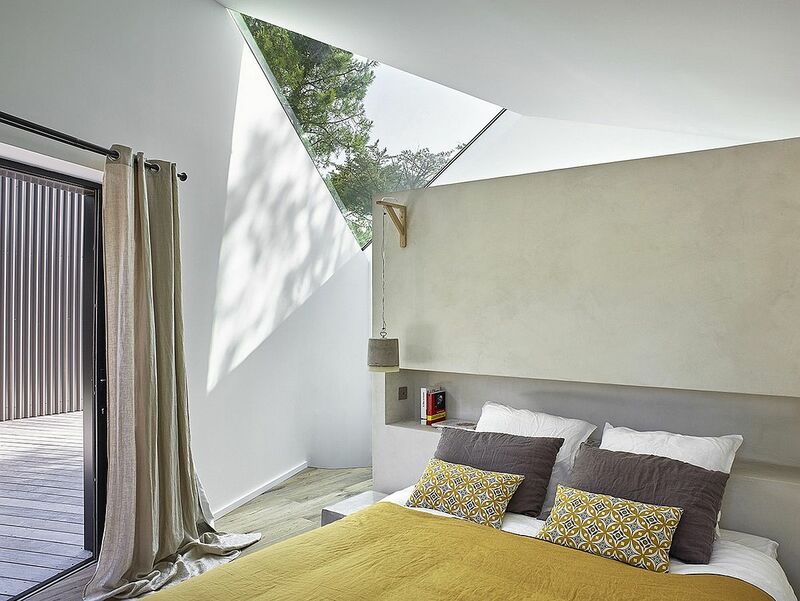 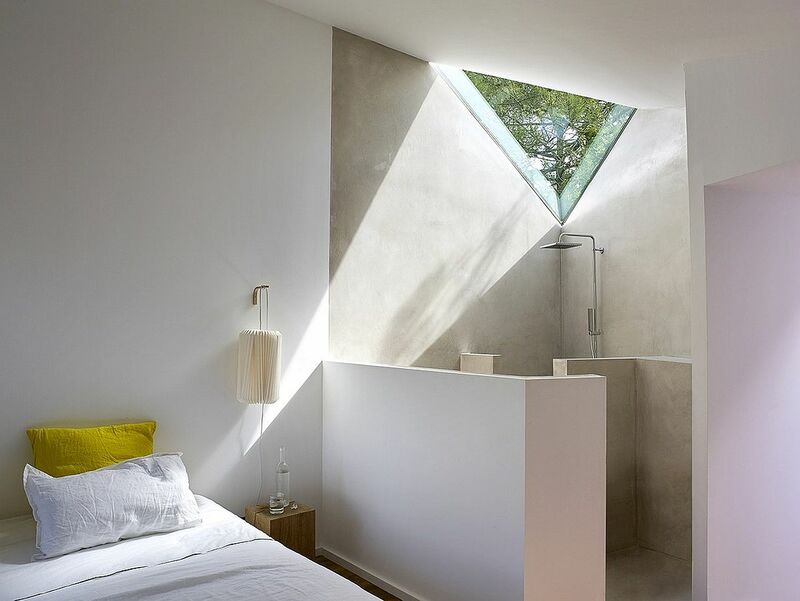 Custom triangular skylights bring even more light into the bedroom and bathrooms on the top level while sliding glass doors accomplish the same on the lower level.